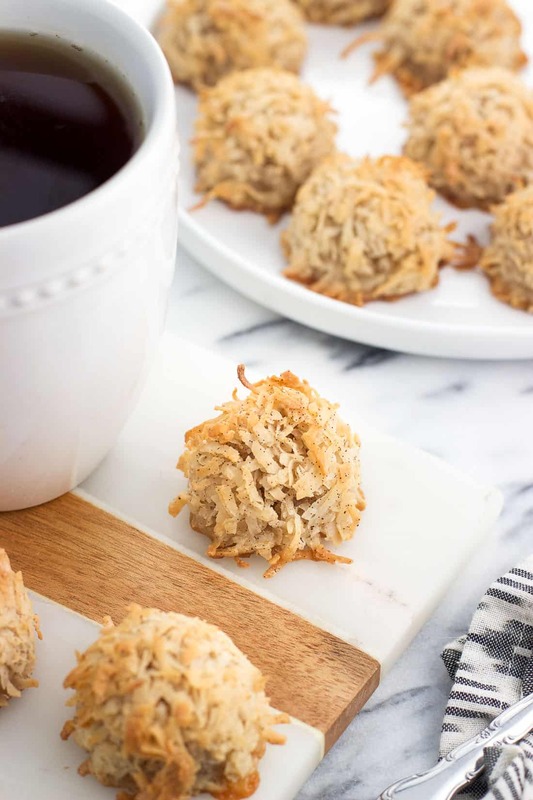 Vanilla chai macaroons feature warm chai-inspired flavors like cinnamon and cardamom in an easy, one bowl coconut cookie recipe. 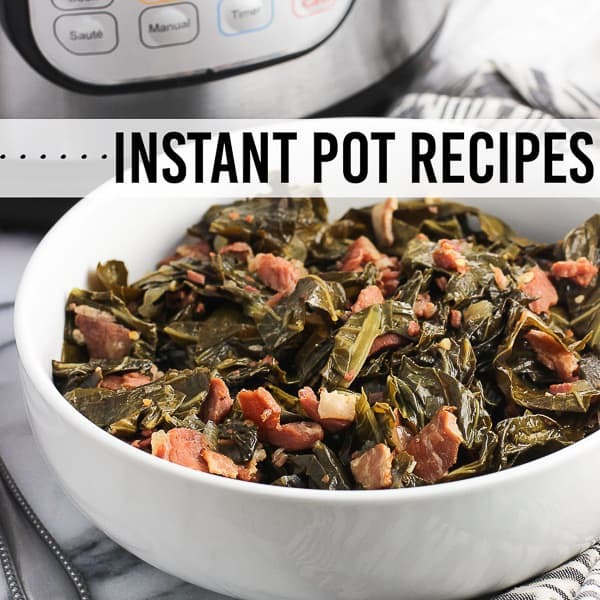 Great for pairing with a mug of tea! Where I live it still feels like summer outside, even though we’re already hurdling into October. Tell me where September went?! It seems like I say the same thing every fall, but this one is shaping up to be a doozy of a season. Trips, a new job, house renovations (minor, thankfully)…I can feel the stress creeping up already. It’s all the good kind of stress so I can’t complain there, but I know I’ll be in need of a daily routine that keeps me on track with my schedule. Without a good routine I become scattered and do things like ignoring items on my to-do list in order to spend way too long researching which shower designs are the easiest to keep clean. Or the very best kitchen faucet to have ever existed. One small moment of calm I can find daily is enjoying a mug of Bigelow Tea with a snack. This ritual, if you will, of sipping hot tea requires you to slow down and savor it, allowing you a lull in your jam-packed day. Check out the Bigelow Tea offerings by hovering over the photo below! Then you can click through to buy on Walmart.com. When the weather cools down, I’m all about a bold tea like Bigelow Vanilla Chai. The vanilla flavor complements the chai spices beautifully to create a smooth and satisfying tea. 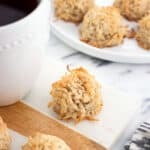 Since a bold tea deserves a bold food pairing, I suggest carrying those flavors forward with these vanilla chai macaroons! Bigelow is a three-generation, family-owned company that knows quality tea and ingredients. I’m a big fan of many of their varieties, and I know Bigelow has a tea for any occasion or season. One thing I love about Bigelow tea bags are that they’re individually foil-wrapped. This prevents air and moisture from impacting the tea leaves, so you’re unwrapping a fresh tea bag every time you’re ready to sip and relax. Plus everything from the box to the tags to the tea bags are recyclable. How cool is that? 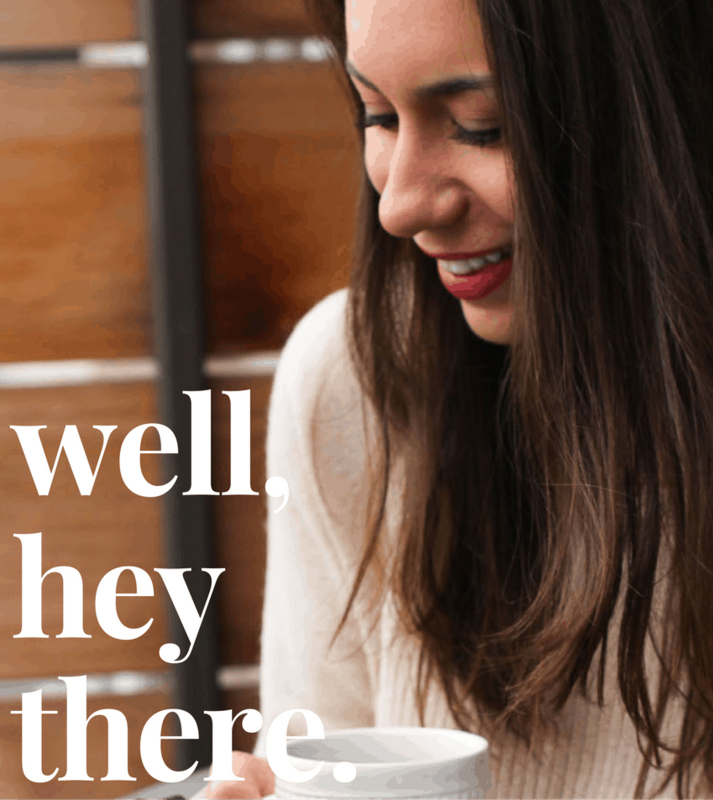 If you’re anticipating a busy fall schedule, there are two tips I’ve found that can help alleviate stress all while you’re enjoying your tea. The first is finding a short guided meditation and listening to it while you sip your tea. There are several free apps that offer guided meditations of various lengths. My husband likes to listen to them in the evening when he knows he has a busy day ahead of him, as he finds it helps quiet his thoughts and helps him to have an easier time falling asleep. I’ve been loving quick ones (five minutes or so) to “force” me to take a breather during stressful or busy times. Combined with Bigelow Tea and a snack, I find myself more motivated and energetic to tackle the rest of my to-dos. The second is to grab your favorite lotion and give yourself a hand massage. Lots of instructions online! I’m on the computer for (too) many hours a day, and I can feel the tension when my hands are crunched up on the keyboard for too long. My hands become super dry when the weather cools down, so this helps keep them routinely hydrated all the while easing muscle stress. It’s another quick action to take while sipping a mug of tea that can help you power through your day. Back to the snack pairing – vanilla chai macaroons. 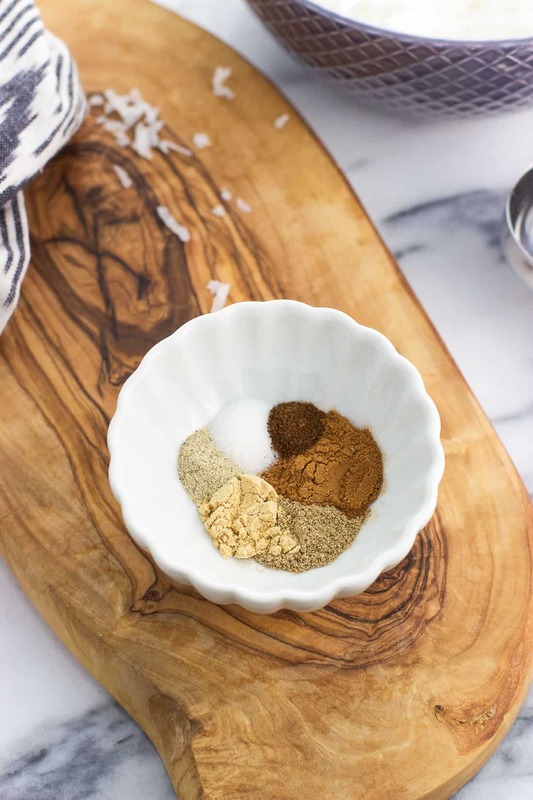 To create a chai-inspired spice blend, you’ll mix together cinnamon, cardamom, ginger, white pepper, and cloves. Salt, too. That will be a good chunk of the flavor here. I also scraped a vanilla bean pod for a simple but elevated way to add vanilla flavor. Those are the little specks you see dotted throughout the macaroons. Don’t be scared if you haven’t yet used ground pepper in a sweet recipe! Using white pepper mellows the flavor a bit and adds an earthy flavor that can handle itself nicely in a dessert. White pepper is a must in my pfeffernusse (chewy spice cookie) recipe, and I find that it doesn’t have that bite that black pepper has. 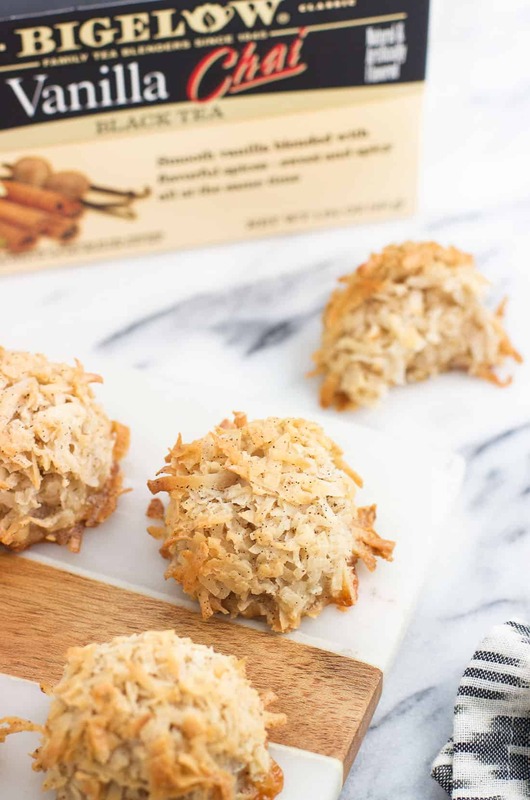 Definitely something welcome in a sweet treat such as these coconut macaroons. 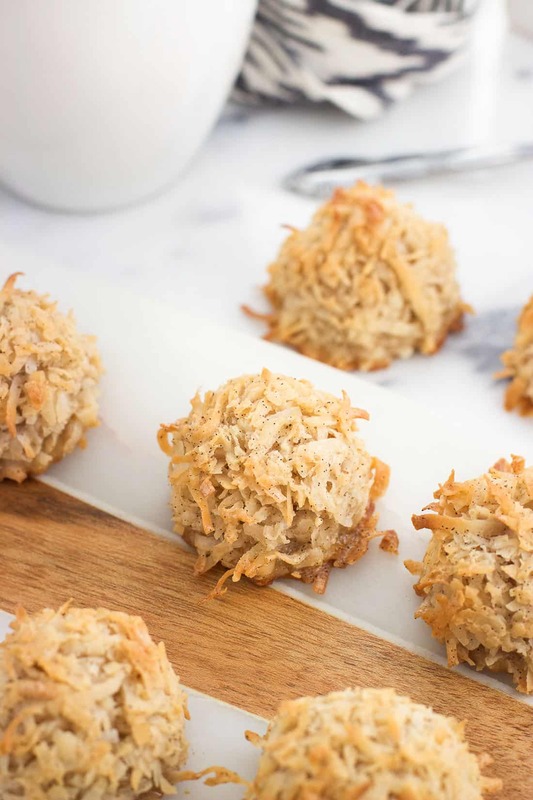 One thing I love about coconut macaroons, and these vanilla chai macaroons in particular, is that everything comes together in one bowl. Always a win! You’ll get your egg white mixture nice and frothy, then stir in the flaked coconut. That’s all you need for these simple, flourless cookies. 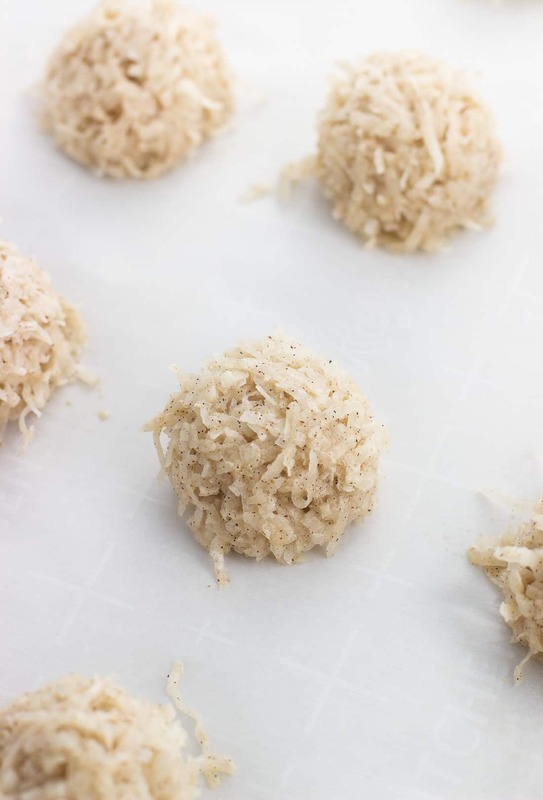 Make sure you use sweetened flaked coconut, as unsweetened would likely lack both sweetness and moistness that helps make macaroons a sweet and chewy dessert choice. A cookie scoop makes the macaroon-forming process a breeze. Since we want the vanilla chai macaroons to hold together very well, you’ll want to pack the mixture into the scoop as best you can. Really press it into the scoop to make it as dense as possible. This helps maintain the rounded shape without excess coconut pieces crumbling away. If some pieces do come away, just press them back into the shaped macaroons on the baking sheet. They’re pretty forgiving. 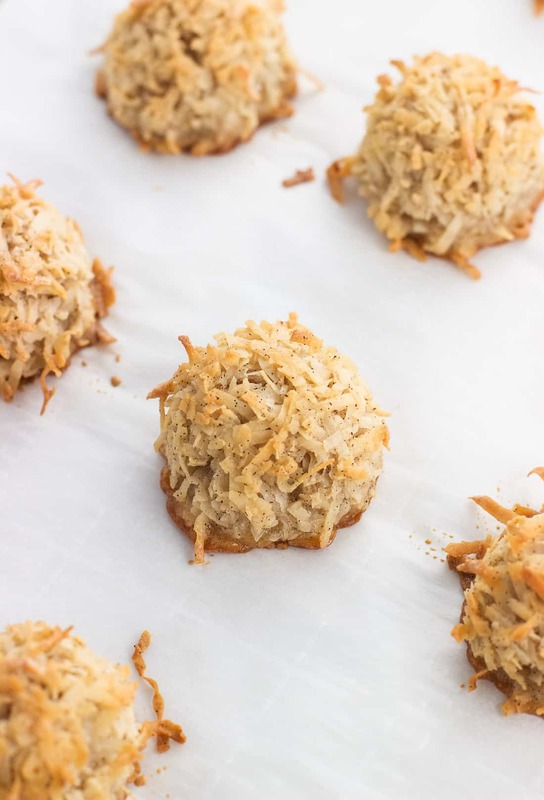 As they bake, the flaked coconut in these macaroons toasts to a golden brown color (YUM) and becomes solidified on the outside while maintaining a soft and tender inside. 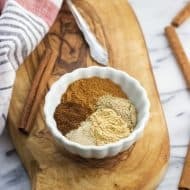 The chai spices don’t compete with the coconut or vanilla flavors, but rather work together to yield a balanced and flavorful cookie. 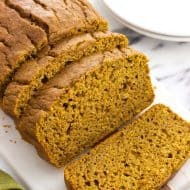 When paired with a mug of Bigelow Vanilla Chai Tea? Perfection. 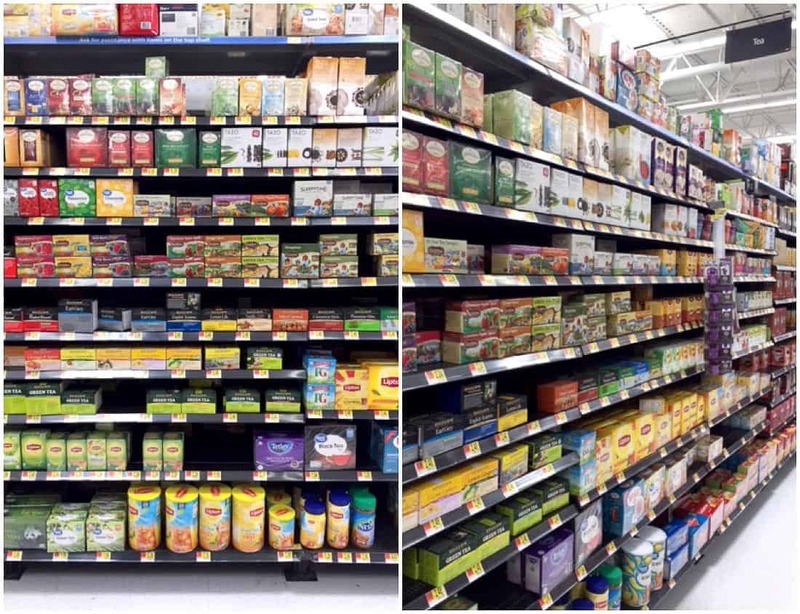 I found my Bigelow Tea at Walmart, where they have quite a selection. There’s something for everyone, with both classic and seasonal flavors. 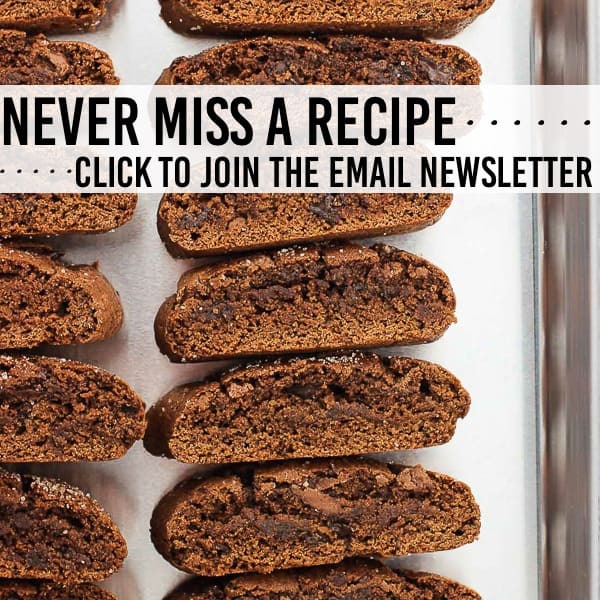 Be sure to use parchment paper on your baking sheet. This prevents the macaroons from spreading as they bake. It can’t be emphasized enough: pack your cookie scoop very well! This also helps the macaroons hold their shape as they bake. 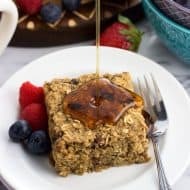 Use the sweetened (not unsweetened) flaked coconut here. Be sure to check out Bigelow Tea on Facebook, Twitter, and Instagram to keep up with all their tea news! 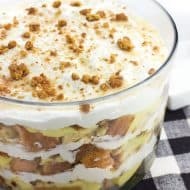 Add egg whites, sugar, vanilla bean, cinnamon, cardamom, ginger, white pepper, salt, and cloves to the bowl of a stand mixer fitted with the whisk attachment. Whip on high speed for 4-5 minutes, or until the mixture is frothy. 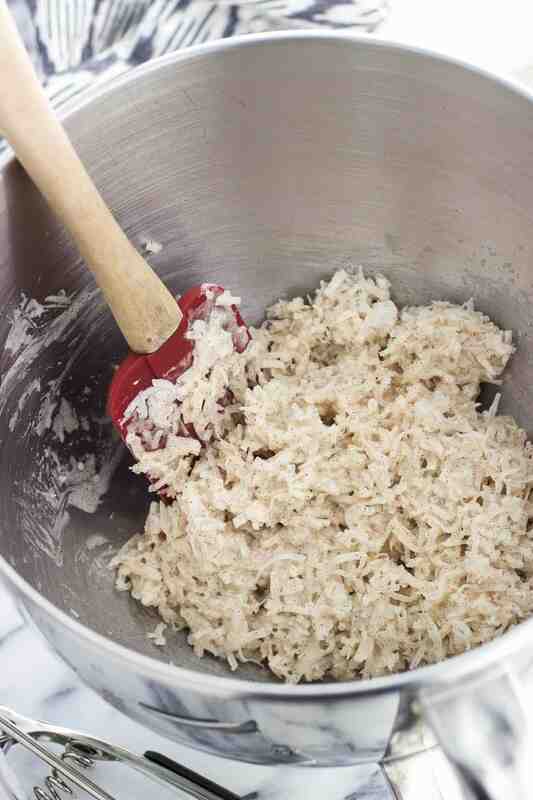 Stir in the flaked coconut until evenly combined. Using a 1-1/2 tablespoon capacity cooking scoop, scoop macaroon mixture and press it into the scoop very well to create as dense of a macaroon as you can. Place macaroons about 1 1/2" apart on the sheet. Bake for 25-30 minutes, or until the tops and bottom edges are golden brown. Let macaroons cool completely on the baking sheet before gently transferring to an air-tight container for storage. Pair with a mug of Bigelow Vanilla Chai Tea for the ultimate fall pairing. 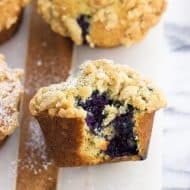 I can’t wait to make these this weekend, they sound marvelous! I hope you enjoy, Marianne! Can I substitute sugar with Stevie or truthfully sweetner? Hi Lori, I don’t have much experience with stevia or truthfully so I couldn’t say for sure. 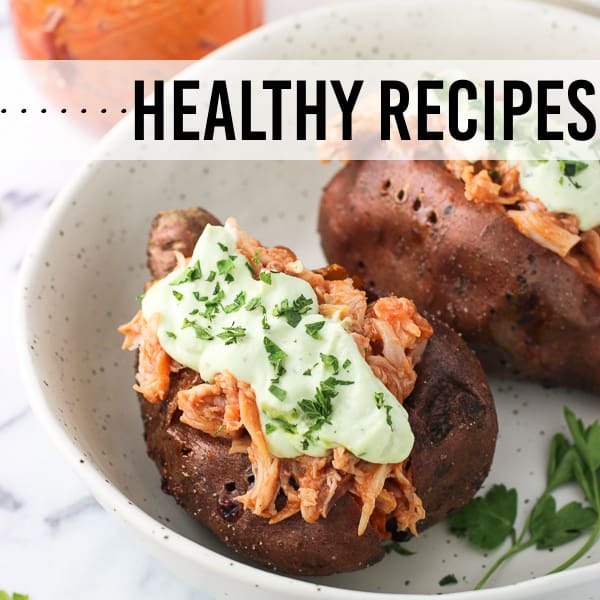 If my understanding’s correct, stevia is much sweeter than sugar so you’d need to add less than the 1/4 cup of sugar this recipe calls for. Not sure what the substitution ratio is, but as long as the coconut mixture can hold together well and be shaped into balls it may work. 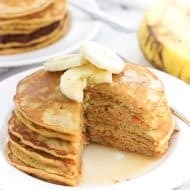 Could you substitute vanilla extract for the vanilla bean? Hi Tom, yes that would work. I would say about one teaspoon of vanilla extract would do it, though there’s some wiggle room. I wouldn’t want to add too much as extra liquid could interfere with the consistency. Would these be good with the bottoms dripped in dark chocolate? Hi Cindy, I bet that would be delicious with these flavors!